I’ve never been a fan of the color, but I salute the cause. It’s officially breast cancer awareness month; unleash your pink…anything. This year holds special meaning for me with my aunt and mom battling it and fiercely (*knock on wood*) defeating it. Unfortunately my Nana wasn’t able to survive the big C over a decade ago. The harrowing reality that cancer cut her 60-year-old life short is disheartening, at times. But, it’s a reality in which millions of families experience each year. According to Susan G. Komen, 40,000 people are estimated to die this year from breast cancer. And despite the rumor that breast cancer is strictly a white women’s disease, it’s only partially true. Yes, we are less likely to be diagnosed with breast cancer, buuutttt, this is a big but, so pay attention, Black women are more likely to DIE from breast cancer compared to white women. Sorry I’m being so morbid in this post, but I think it’s necessary to shatter any myths circulating around breast cancer. It gives us the chance to actually talk about it and band together to cure it. With that said, I highlight (using my Pink Sharpie) three celebs that are cleverly raising awareness for breast cancer. Speaking of tees, comedienne Kim Coles has reignited her famous catchphrase–appearing on sisterhood sitcom “Living Single”–to plaster on some tanks. 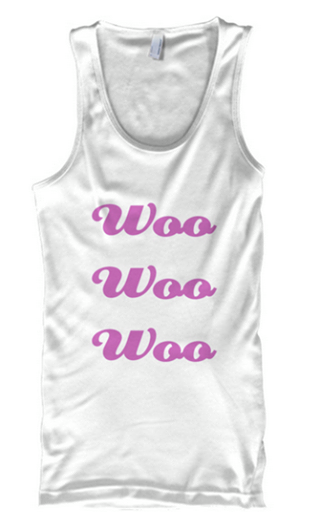 The WooWooWoo (written in pink letters) tanks are being sold online to raise money for breast cancer awareness cause. Kim is relaunching the tank in honor of her friend and her sister, who is a survivor. Purchase one while supplies last…it’s only for a limited time. 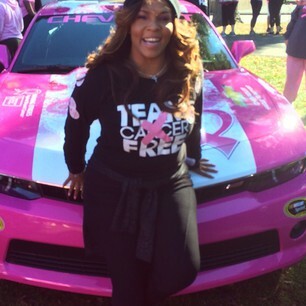 One half of the original 106 & Park show host, Free, an advocate for breast cancer awareness, made her annual ‘Making Strides Against Breast Cancer’ 5K walk in Boston last weekend. 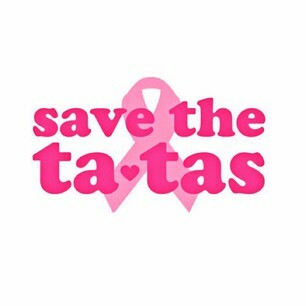 The walk is to raise awareness and money for a cure for breast cancer. Free’s team dubbed ‘Team Cancer Free’ has raised over $4,000 so far. Their goal is to reach $5,000 that’ll go towards American Cancer Society’s research in treating breast cancer. There is still time to donate to the cause. If you wish to give click here.